The ever popular Art Therapy book Relax with Art is bringing out a 2018 Diary for all of the fans of this title. 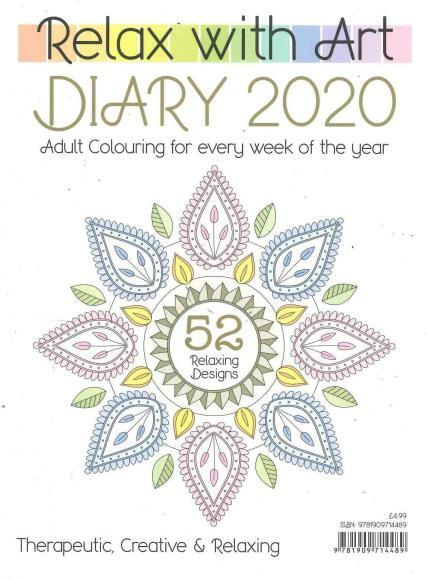 This diary features 52 relaxing designs, one for every week which are all individually handcrafted and there is a full week on the page...It's time to Relax with Art. This diary is A5 in size.